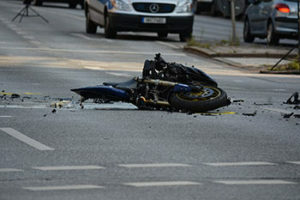 Contact Our Motorcycle Accident Attorney in orlando Today! If you have landed on this page, chances are that you were injured in an accident and need the expertise of an experienced motorcycle accident attorney in Orlando to help you with your case. An Orlando personal injury lawyer for many years, our team at Law Office of Frederic E. Waczewski, P.A. can not only handle your case but give it the personal attention that it deserves. Read below to learn more about the most common factors that will affect your claim. Damages and liability need to be factored in: with a motorcycle accident case, the value will comes from the total damages that stem from damages and liability. Liability refers to who is at fault in the accident. Your motorcycle accident attorney must be able to prove that the other party was negligent or simply broke the law. If it is found that the other party in question did not do anything wrong, and it was your fault for the motorcycle accident you will lose the case. During your initial consultation with our attorney, he or she will be able to be able to listen to the details of your accident and access whether or not you have a strong enough case to pursue in court. Through the years of experience in court, the attorneys at Law Office of Frederic E. Waczewski, P.A. have a keen sense of what will make for a great case. Trust in their judgement and advice to help you make the best decision possible. Damage deals with the injuries and losses that you suffered as a consequence of the accident. For example, if your son was involved in a motorcycle accident leaving him impaired for the rest of his life or severely injured to the point where he cannot perform his normal job duties and hence, lost his job, then these damages are also factored into the total value of your claim. While working with your Orlando personal injury attorney, knowing the difference between your trial vs settlement value will be of great benefit to your decision making process. The settlement value of a case if what you would like to receive in compensation in order to settle the case faster and not have to take the trial to court. It is often much less than the trial value, but it has the benefit of ensuring some compensation if you feel that your case may not be strong enough to win in court. The trial value is what you would expect to receive in compensation should your case win. For example, let us pretend that you were in a motorcycle accident that left you unable to work for 3 months ($15,000 in lost income), the medical bills as a result of your injuries amounted to $12,000. With these figures, your claim would request that $27,000 be awarded to you at a minimum should you win your case in trial. If you lose, you receive zero. The decision is ultimately the client’s and as a motorcycle accident in attorney, we will advise during every step of the process in order to help you receive the most compensation for your claim. There are situations where if you feel your case is taking a turn, where you may want to settle. Even when you have all of the documentation, one detail can thrown everything off. A settlement may be better in situations where full confidence is not felt with the evidence in your claim. What Other Factors Affect Your Claim Value? With any personal injury case there are two distinct types of damage categories that are evaluated during the process: damages that can be calculated, and those that cannot be readily calculated (mental pain and suffering). There is no exact method in calculating the value of pain and suffering that a person experiences when they have felt loss for example. It will be up to the jury to decide how much should be awarded in these circumstances . They will need to take into account common sense, their experience, and overall background to come to a conclusion to a figure that would help symbolize the value to be awarded. After an accident, check to see if you and the other party have sustained injuries. Take photographs of all of the damage you can. Move the vehicles off the road to prevent further accidents to another vehicle on the road if you are able to. If you are unable, wait for the local authorities to come and help. It is important that you do not further injure yourself after an accident. Gather the contact information of the other party and any witnesses. What is their name? Who is their insurance provider? What is their telephone number, email and alternate mode of contect? Call a motorcycle attorney. Our legal team has the vast experience to help you in the next steps of the process. Call the insurance company: Report the accident but do not state who was at fault, nor any injuries or damage to the car until after you have spoken with your attorney. If you are searching for a motorcycle accident attorney, your solution is here at the Law Office of Frederic E. Waczewski, P.A. Our Orlando personal injury lawyer has successfully brought claims to trial and obtained the compensation the clients deserved. Motorcycle personal injury claims do take some time from start to finish as the rigorous process requires a lot of evidence to be supplied in order to make it clear to the jury that the other party was at fault. Contact our law office today to speak to one of our experienced attorneys today. We look forward to working with you and giving your case the personal attention that it deserves to ensure the best chance of success.